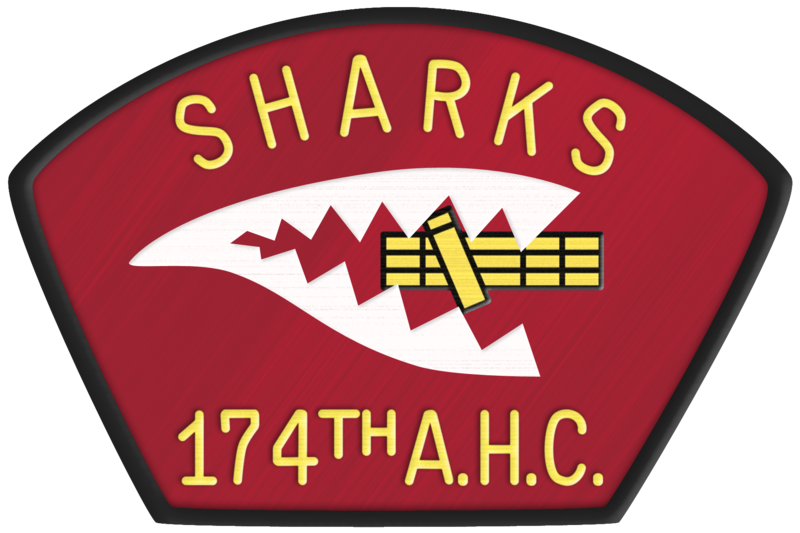 Sharks, Dolphins, Arabs and The High Priced Help is authored by 174th AHC alumnus Lieutenant Colonel (Ret.) Marty Heuer and presents the history of the formation, training and deployment of the 174th AHC to the Republic of South Vietnam over the 18-month period from October 1965 to April 1967. 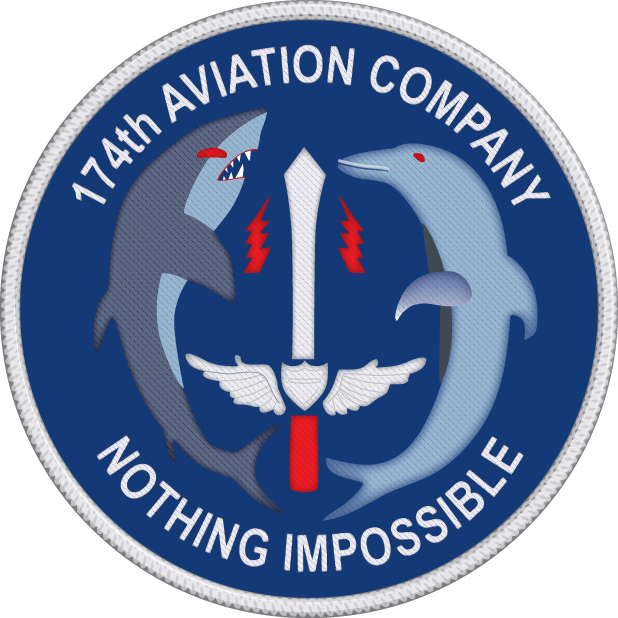 Is a very detailed history of the early years of Army Aviation, and the 174th AHC. 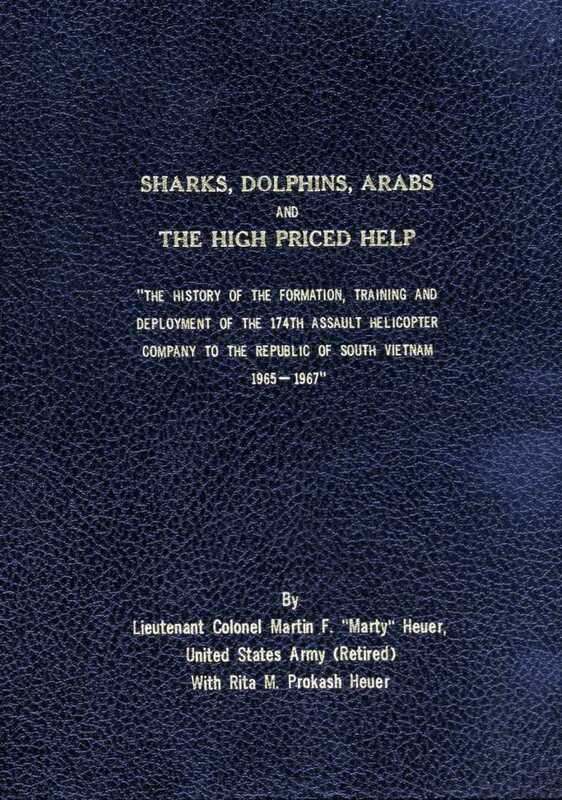 The book also includes the 174th's own singing group "The High Priced Help" (THPH) along with lyrics to their songs and other Army Aviation singing groups of the 1st Aviation Brigade. In hardback only (8-3/4 x 11), with 541 pages and 765 photographs. In second printing. See two reviews by MG Ben Harrison (AAAA) and fellow Army Aviator John Penny (VHPA) for additional information. Both reviews are shown further down this page. Order through the 174th Company Store Manager via e-mail. PS: Marty was a guitar playing/singer/member of THPH while in the 174th AHC. THPH recorded all of their songs on a reel-to-reel tape shortly before departing VN. Many years later those songs were transferred to a cassette tape and thousands of copies were sold. When cassette players started to wane, the songs were put on a CD and released in 2007. The CD is a companion piece to the book and can be purchased separately. It's one thing to read the story of the group in the book, but another to actually hear the songs as they were sung in Vietnam. The audio quality is exceptionally good, considering where it was recorded. It's also in stereo and is one of only a few recordings made that way in-country. If you are interested in having the CD, the cost is $10.00, if ordered with the book. The CD is available on Amazon.com, however, the price is higher there. So, if you want a CD, just add $10.00 to the book price above and it will be included in the shipment.